Homemade Sunscreen: A Simple Natural Recipe that Works Great! 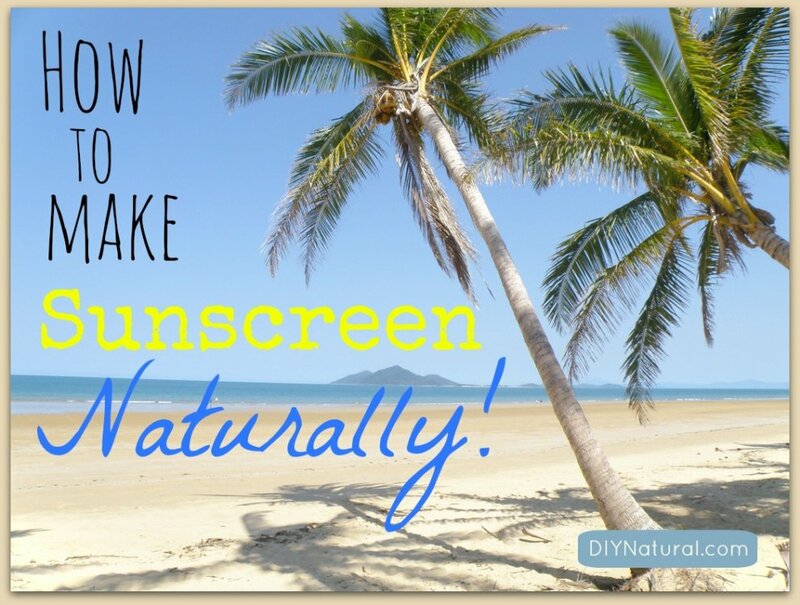 Home DIY Natural Blog Beauty A Natural Homemade Sunscreen Recipe That Works! A Natural Homemade Sunscreen Recipe That Works! Making a natural homemade sunscreen is easier than you think. All you need are a few simple ingredients to make a skin nourishing DIY sunscreen that works! Do you love the sun as much as I do, but hate the chemicals in commercial sunscreen? Then you’ll LOVE this natural homemade sunscreen! My teen years were spent rebelling against sunscreen and having tanning contests with my older sister. We would lie in the sun (glistening with baby oil) well into the colder fall months – doing everything in our power to hold onto a golden tan until the snow started flying. I still adore the feel of sunshine on my skin and believe moderate amounts are important to our health, but I’m no longer a fan of endangering my health by overdoing it. However, we understand there are times you will not be able to cover up or get out of the sun and may need to use sunscreen. But commercial sunscreens have been a hot topic lately, guilty of containing harsh chemicals and being counterproductive in maintaining healthy skin. So let’s learn how to safely protect your skin with DIY sunscreen when covering up or getting out of the sun is out of the question. There are several oils, butters, essential oils, and other natural ingredients that provide natural sun protection. While most of these offer very low amounts of sun protection, when added to your natural homemade sunscreen they nourish the skin and offer some protection against the effects of excessive sun exposure. 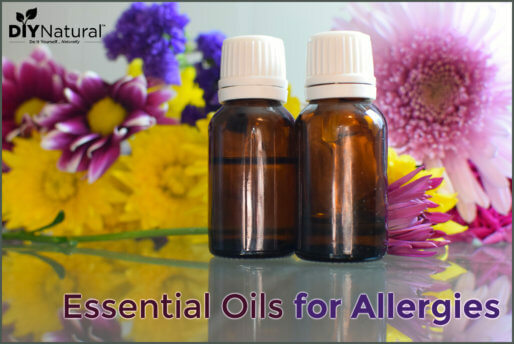 Eucalyptus and lavender essential oils – eucalyptus has very low natural SPF and lavender is great for soothing and repairing skin. DO NOT use citrus essential oils in your DIY sunscreen, as they may increase sensitivity to sunlight. Zinc oxide (non-nano) – a non-toxic, usually non-irritating, effective broad-spectrum sunblock. The particles sit on the outermost layer of your skin, scattering and absorbing UVA and UVB rays, protecting the skin below. Zinc oxide (ZnO), provides true broad-spectrum protection against UVA wavelengths >360 nm. Important: Nano or micronized zinc oxide has been treated to reduce the size of its particles, creating an ultrafine powder. When added to sunscreens it does not leave a white film on the skin, thus making it a popular choice in many commercial sunscreens. The problem with this is that the particles are so small they can enter the body through the skin, causing potential health problems. We demonstrated that agglomerated ZnO-NPs had toxic effects on mammalian cells, and this effect was dependent on the ZnO concentration and the cell line used. Different amounts of zinc oxide are needed depending on what SPF you would like your lotion to be. Once you have chosen the SPF a little math is involved. The zinc oxide must be a certain percentage of the weight of your ingredients (before adding the zinc oxide). For this reason, it’s easiest to use a kitchen scale when making your sunscreen. For example, if you have 2 ounces of lotion and you’d like to make SPF 10 sunscreen, according to the values below you will need to add .2 ounces of zinc oxide to the lotion. Use the zinc oxide recommendations below. Add coconut oil, shea butter, and jojoba/sesame/sunflower oil to a makeshift double boiler. (To make your own double boiler, place a Pyrex measuring cup containing ingredients inside a small pot filled with a few inches of water). Heat until melted. Remove from double boiler and allow to cool a little. Put on a mask that covers your nose and mouth (to avoid breathing in the fine particles of zinc oxide powder), and measure out your zinc oxide. Add zinc oxide, Vitamin E oil, and optional essential oils to the other ingredients. Stir well to combine. Store in a dark jar in the refrigerator. Apply liberally to exposed skin. Reapply every few hours, or more often if swimming or sweating. The shelf life of this natural homemade sunscreen is about 6 months. Refrigerated when not using. The oils it contains are photosensitive, so do not leave your homemade sunscreen sitting out in direct sunlight. Keeping it in a cooler will prevent it from melting in high temperatures when taking it to the pool or beach. If you prefer to add zinc oxide to another homemade lotion you like, simply weigh a desired amount of lotion and add enough zinc oxide to achieve the preferred SPF, mixing thoroughly. Beasley DG, Meyer TA. Characterization of the UVA protection provided by avobenzone, zinc oxide, and titanium dioxide in broad-spectrum sunscreen products. 2010 Dec 1;11(6):413-21. Zhang Y, Nguyen KC, Lefebvre DE, et al. Critical experimental parameters related to the cytotoxicity of zinc oxide nanoparticles. J Nanopart Res. 2014;16(6):2440.
i’m living in tropical area and the the average temporatures is about 33-35 celcius degree everyday, is it recipe can give me a strong enough sunscreen when playing outside? I’m pale and i never want to go tan. Has anyone complainted about allergies or skin diseases yet? Thank you. Thanks for the recipe! I made the sunscreen and put in small containers in fridge and it has separated. Is it ok to warm it up before use? Why does it have to be refrigerated? The items alone are not stored in the fridge. Just curious! Thanks! If your sunscreen separated before using it, you’ll want to warm it a bit, then put it in an ice bath while stirring it well. Stir until it looks fairly set, then refrigerate. The reason for keeping it refrigerated is that you don’t want the separation or the zinc oxide (the active ingredient) will settle to the bottom, then you’ll basically just be applying lotion without sun protection. Hope that helps! Plz help me is it safe or not ? and which one is better and safe zinc oxide or nano zinc oxide ? Typically it is not safe to apply oils before going out in the sun. However, the oils in this recipe provide (low amounts of) natural sun protection, so it’s a little different. NON-NANO zinc oxide is the only one you should be using on your skin. I can now breathe a sigh of relief…. 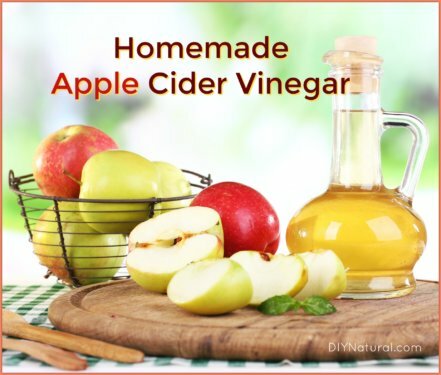 Finally great advice and the best homemade, natural recipes. Thank you, indeed is not sufficient. Moving to the African continent, I’ve surfed the net desperately searching for a natural sunBLOCK that is also safe for the sea animals. Many places now disallow any other, including scuba diving. Hooray, I say! So, my question is, are these ingredients safe for sealife too? BTW… An update (from the UK), 1 dentist says, No… Don’t use bicarb on the teeth due to the abrasive nature (can you give info on the comparison between commercial toothpaste/your recent recipe/enamel and the abrasive scale? ), but 2 said that between the 2 visits our family dental hygiene had greatly improved. Check us out?! Asking what we were doing, we explained:- alternate manual/electric brush, with a conscious brushing with bicarb, activated charcoal and spearmint e/o tooth cleanser. Get this….. They actually praised and asked for the receipe. Hmmmm! My daughter though, screams the bathroom down, and refuses to use any combination due to the “salty taste”, which is impossible to conceal. Any ideas? I’m also very keen on the spf primer receipe please. Since there are no chemicals used in this sunscreen recipe, and it is completely natural and safe for humans, I am *guessing* this is also safe for sea life. Increase your SPF by adding more zinc oxide. 🙂 If it’s too white on your skin once applied, you can melt it down and add cocoa powder to make it a tinted sunscreen. Do you have a version for oily/ acne prone skin? I am ok with coconut oil, but worry that the shea butter may cause my skin to break out. My best recommendation would be to use a lotion you already know works well with your skin and mix in the amount of zinc oxide you would need to create the SPF you want. Blend very well so the zinc oxide is mixed throughout. I was wondering what the final consistency of the sunscreen will be. The reason I am asking is to decide what kind of packaging to put it in. Will it harden at room temp (due to the addition of the coconut oil)? If so, I was thinking it would be convenient to put it in a deodorant tube for ease of application. Or is it more like a lotion I should put in a squeeze bottle? Thanks! I always put mine in a small jar because it can melt at the beach to a soft consistency, or it may be solid if I keep it in the cooler/refrigerator. However, if you’re just adding zinc oxide to some of your favorite lotion, go ahead and put it in a squeeze tube. I am assuming this is safe to put on lips, but have you tried adding anything that will make the consistency more like lip balm? Howdy from Texas! I love your blog and was reading this particular post and thinking about an idea that I had recently and have been trying to formulate for a bit. I like silicone type primers underneath my makeup, but HATE having to put on multiple products and let them sit to dry; I have two little ones and simply do not have the time nor brain cells to track what I’ve put on and how long ago. SO-I had the thought of buying some cosmetic grade silicone and silica microspheres from a place that I buy a lot of makeup pigments from and making my own primer. Then a second little light bulb went off…what about making it a sunscreen too. Now- the first attempt I did with this was to add silica microspheres to a makeup primer that I had been using for a while and then add sunscreen to it as well, mix really well and …. well, no voila. Over the course of the next few days, it became a somwhat liquidly separated goo-ish substance. Needless to say, I threw it away. After doing some research, the primer I was using was waterbased, and the sunscreen the opposite, and the silica spheres just pulled all that all sorts of ways. Here’s my real question: Do you think it would work with a silicone gel, silica microspheres, and then your 300 nm zinc mixed together for a very basic (few ingredient) sunscreen makeup primer? I’d love to hear your thoughts on this. Yes, my hunch is that the powdered zinc oxide should work well with those other ingredients. Great idea! Just remember to use something to cover your mouth/nose when working with the powdered zinc oxide so it’s not a respiratory irritant. We aren’t speaking of plastic microbeads though, so I’m not sure what intent your comment was supposed to have…. I have used straight aloe vera as sun screen. The children don’t burn but do get a light tan while wearing it. Carrot seed essential oil would work even better. Also, taking 8 mg a day of astaxanthin not only repairs sun damage, but also helps keep you from burning, giving you some internal sun protection. I am dangerously low in vitamin D. Would this sunscreen block what I need to get vitamin D? It’s best to get a little sun, then when you’ve had enough, apply this. Blessings! Do you know if this could be adjusted to make a sunscreen mist? Thank you x’s A BILLION for the links to the websites!!!!! 🙂 I discovered that Radiant Life sells *NATURAL AMAZING* Homemade Baby Formula for those, like me, who are low on BM supply and have to supplement. Soooo excited but wish it hadn’t taken me so long to discover…on baby #2 now. Love this so much, have been trying to figure it out and found this 🙂 question if anyone is still following. If I wanted to make like 4 oz how much zinc would i need to add to achieve a SPF 30? Thank you all very much!! THIS IS GREAT!! For an SPF 30 lotion, you’ll have to use more than 30% zinc oxide in your mixture. Just to warn you…this will create a very thick, white, pasty sunscreen. If you’re making 4 oz. of lotion, use between 1.2-1.3 ounces of zinc oxide to achieve a SPF of around 30. Can you also use titanium dioxide? The kind that I have is 0.3 microns, do you know what that means and is it safe? Thank you! Great question Anna. While titanium dioxide can be used for natural sunscreen, it does not do a very good job of protecting from UVA rays. This is why I recommend zinc oxide, which protects well from UVA and UVBs. Therefore, titanium dioxide should always be used in conjunction with zinc oxide to get a truly broad spectrum sunscreen. The size of titanium dioxide you have is equal to 300 nanometers…this is well above the safe particle size. I dont think this is healthy putting Zinc oxide in it. where u have to cover ur mouth not to breath in it. I ask my friend who have alot of knowledge of herbs and health freak. He said it does not sound healthy. Anything you can eat is safe to put on your skin. If u cant eat it. Its not safe.. The reason I recommend avoiding breathing in the zinc oxide is for respiratory purposes…the particles are very small and dust-like. Once the zinc oxide particles are suspended in the finished sunscreen this hazard no longer exists. In terms of putting it on your skin, this is the entire reason for the non-nano argument I cover in the article. Non-nano particles will not be absorbed by skin, but sit on top of skin doing their job. I’m looking forward to mixing up my own batch. Question: If I’m weighing my ingredients on my kitchen scale, do I need to make allowance for the weight of the container they are in? Yes, because when you’re figuring out how much zinc oxide to use it needs to be a certain percentage of the total weight of the other ingredients – NOT including the container you’re using. How often does this sunscreen need to be re-applied – If the kids are playing outside versus swimming? Thanks for asking! I just added this info to the article. Reapply every few hours, or more often if swimming or sweating. Forgive me, but is there an easier way to measure out the ingredients, other than in ounces? I’m not very math inclined! Could you double the recipe for higher SPF? You have to increase the zinc oxide for higher SPF. The downside to this is that when you have a high SPF the sunscreen will have a whitish tint. I don’t do well with coconut. Can I replace it with anything else? Thank you for your recipes and hard work. 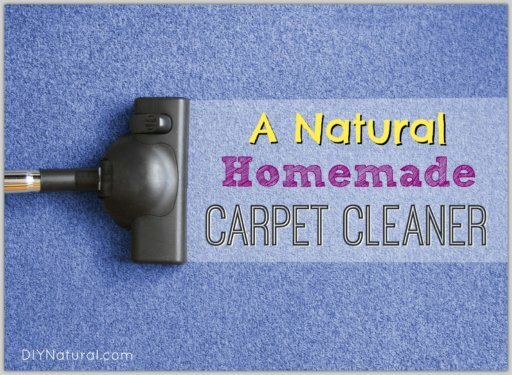 I am slowly replacing my store bought products with natural ones and I love it! Sure…you can use more shea butter or cocoa butter in place of the coconut oil. We’re glad you’re having so much fun making the transition to natural products! I love this article and can’t wait to get my other mom friends together and make ours! I was wondering, do you recommend any essential oils that could also help this to be an insect repellent? I share the same sentiment that James R. does. You guys are great! I very much look forward to your emails. When I see one I have a smile on my face and I dig into it right away because I know that I will learn something good. Is my skin going to have a white tint from the zinc? How effective would the sunscreen be if I was not to use the zinc? Thank you Alina! It’s always so nice to hear when readers enjoy our stuff. The zinc we purchase has a fairly large particle size and it doesn’t leave a white tint on our skin. If you leave out the zinc oxide this sunscreen will probably have an SPF of around 4 due to the coconut oil and jojoba oil. Thank you Mademoiselle for the recipe for the sunscreen, and all the other recipes you share. Because of what you share with all of us readers, you have have made our lives a wee bit more bearable. How cool! I’ve been wondering if there was a good way to make a DIY sunblock. How often do you recommend reapplying if you are spending the day outside? I would recommend reapplying every few hours, or even more frequently if you’re swimming or working up a sweat. Hope you enjoy this homemade version! Betsy, I’m finding it’s really greasy. Have you had complaints?